•	Maximum Continuous Output 750 Watts will surge to higher output for limited time. •	Pulse Modulated Sine Wave. 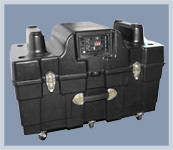 •	Transfer Quality: Uninterruptable Power Supply. 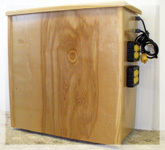 Application: 200W items ex Computer or Med. Equipment needed but for a short time - run time approx 8 hrs. •	Maximum Continuous Output 1500 watts will surge to higher output for limited time. •	Automatic / Instant transfer of power. 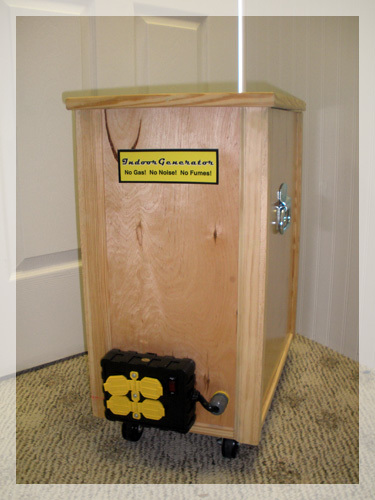 Application: sump pumps or other less than 1500W item. •	Maximum Continuous Output 2000 watts will surge to higher output for limited time. •	Automatic /Instant transfer of power. •	Available in Wood (light/ cherry) or Aluminum (black/ white). 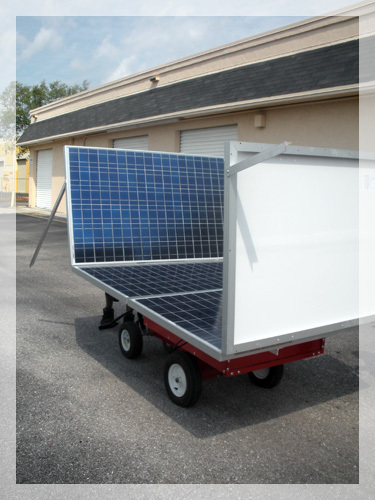 Application: Several low watt items used simultaneously (load determines runtime) or 1 larger item such as an energy efficient refrigerator (3-days). 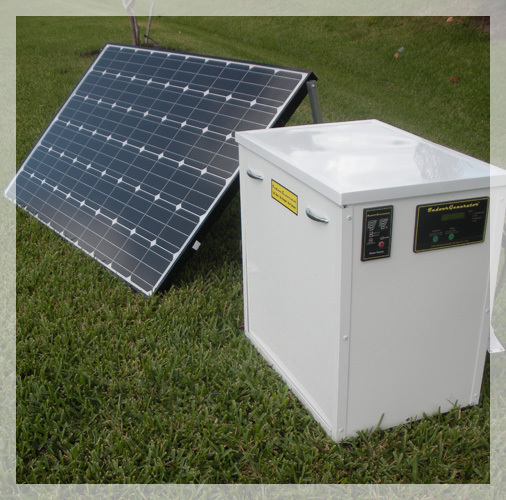 Application: Several low watt items used simultaneously (load determines runtime) or 1 larger item such as an energy efficient refrigerator (3-4 days). 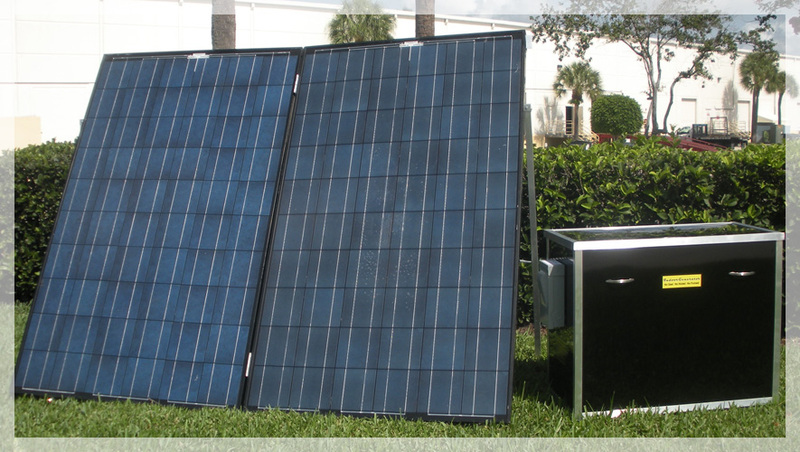 •	AC Charger and Standard Solar Charger. •	Port available to connect to PC Computer - Optional Win Verter Software available to record system performance. 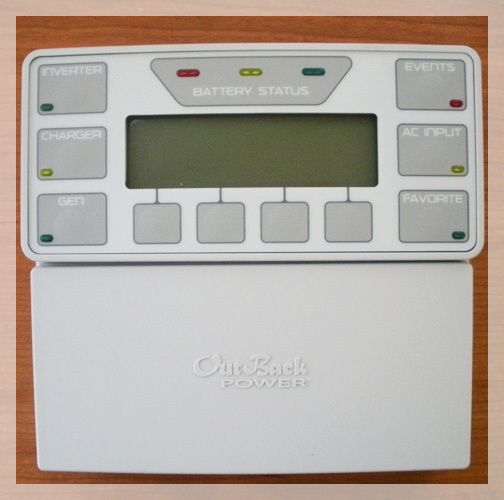 Application: Several low watt items used simultaneously or 1I larger item. 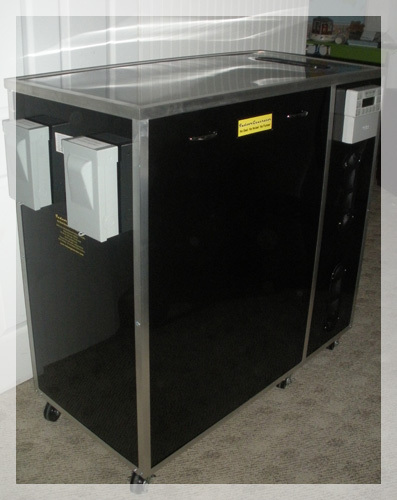 Application: Several low watt items used simultaneously (load determines runtime) or 1 larger item such as an energy efficient refrigerator (approx 6 days of refrigeration). Application: Several low watt items used simultaneously and I larger item. Application: Several low watt items used simultaneously and I larger item. 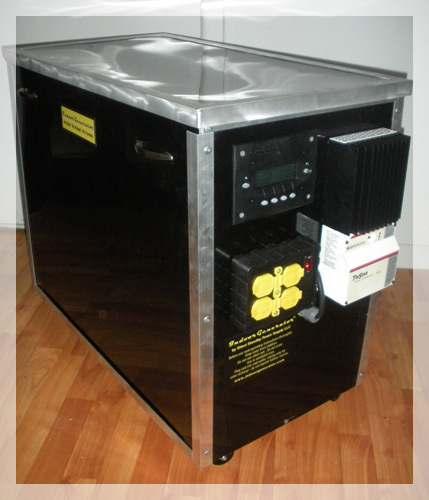 •	Maximum Continuous Output 3000 watts will surge to higher output for limited time. 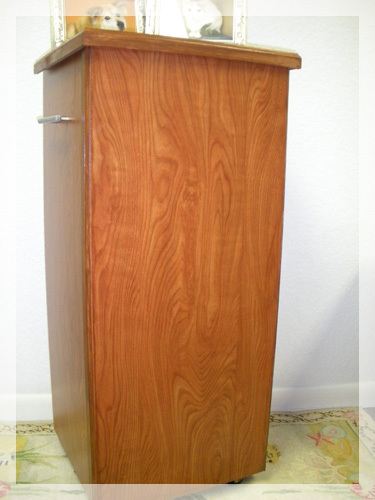 •	Available in Wood (light or cherry) or aluminum (black/white). 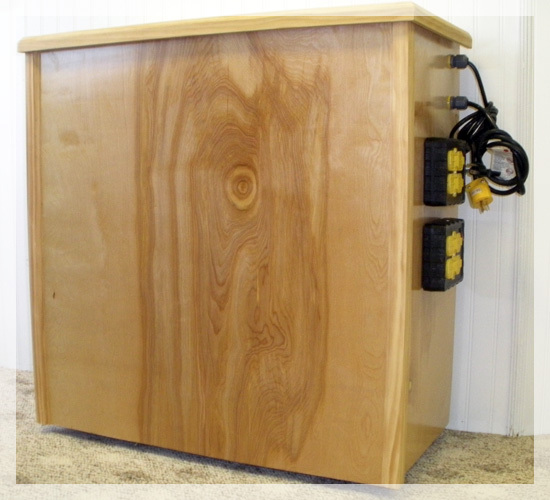 •	Maximum Continuous Output 3500 Watts - will surge higher for limited time. 9000W SS for 9 Seconds. •	Uninterruptable Power Supply. •	Port available to connect to PC Computer - Optional Win Verter Software available to record system performance. 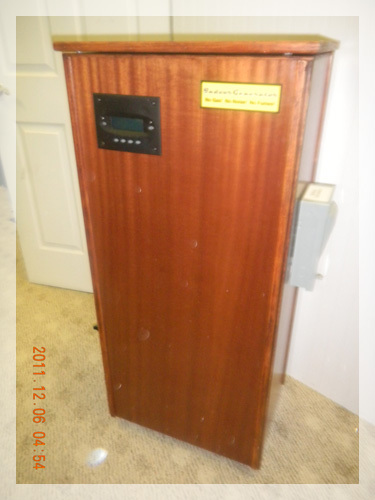 Application: Can power 60 Amp Designated Panel up to 2.5 HP motor. Can run several large items simultaneously. (Load determines runtime). 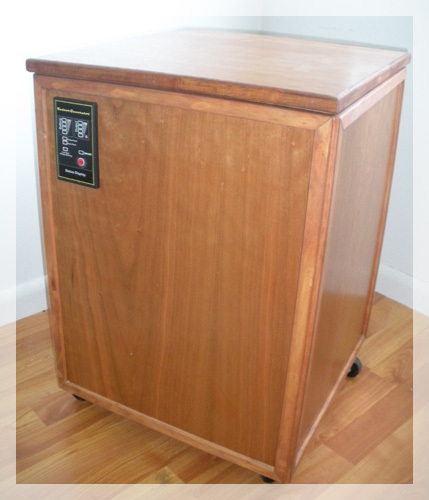 •	Maximum Continuous Output 5000 Watts - will surge higher for limited time. •	Instant/ automatic transfer of power. 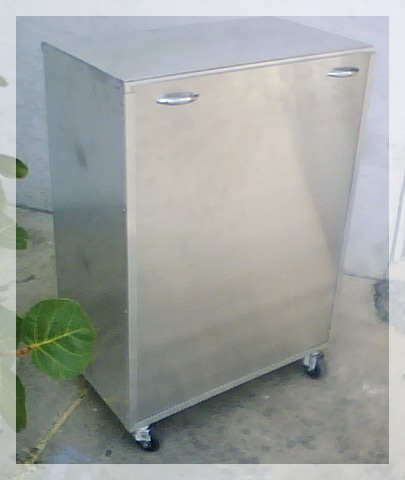 Application: Several low watt items used simultaneously and larger items such as an energy efficient refrigerator. 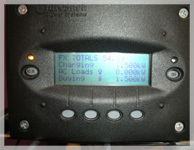 (Load determines runtime) Notes: Can run several low watt items and 2 larger items simultaneously. 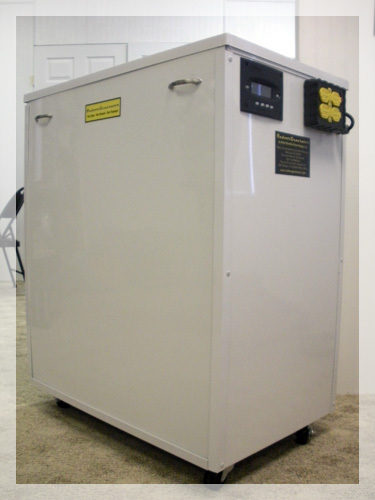 •	Max Continuous Output 8000 Watts - will surge higher for limited time & 9000 Watts for 30 minutes. •	Incl. Internet enabled Mate 3 as standard programming/monitoring device. Only available in OB systems. Mate/ Mate 2 are the standard management tool for programming and monitoring OB designated units. 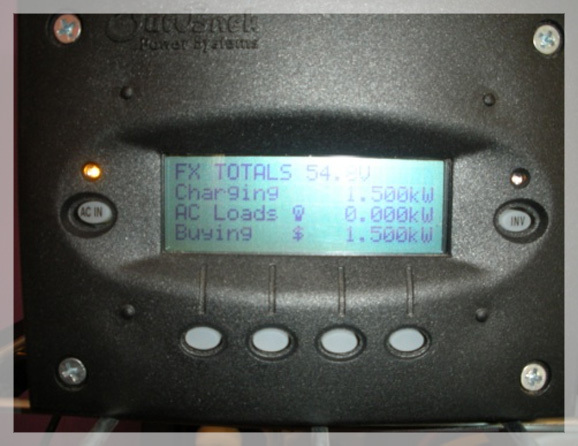 •	Easy to read LCD display and external buttons that show AC and inverter functions, and allows user to navigate menus. •	Incl a RS232 port w/ DB9 jack for connection to a serial port on a PC computer. •	Through the use of optional Win Verter software operations such as data logging and graphical displays of the systems performance can be available. 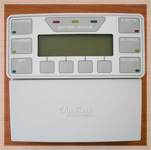 Available only on OB designated models - Advanced Programming / Managing, Monitoring device. Mate 3 has a user friendly interface, intuitive menu structure, easy to read graphical display, system configured wizard, records data for a year, and has a SC Memory card slot to increase data logging capacity as well as to upgrade units in the field. Mate 3 is password enabled. It is also internet enabled which allows full remote system monitoring. 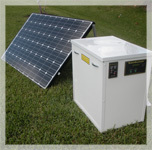 •	120 W solar panel. •	Perfect for balcony use or where space is limited. 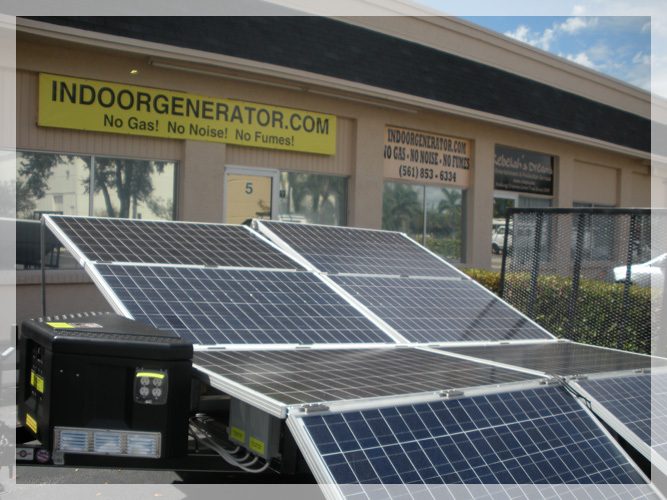 •	Designed to be used in conjunction with an IndoorGenerator providing a continuing charge and power to your appliances. •	Comes with cord and connectors. 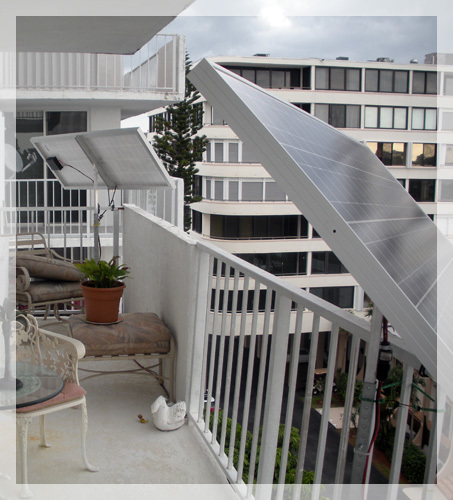 Application: Our portable solar panels are for Apartment/ Condominium Balconies or anywhere space is limited. 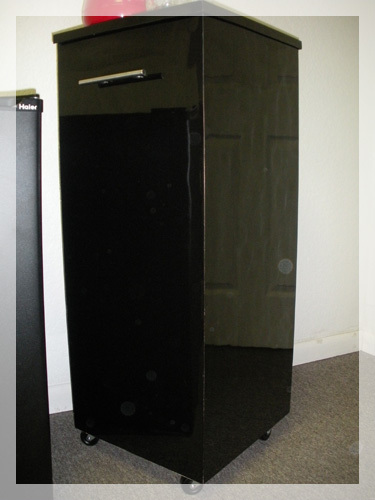 •	Has arms that fold down to make movement and storage easy. •	Comes with cord, cord rack and connectors. 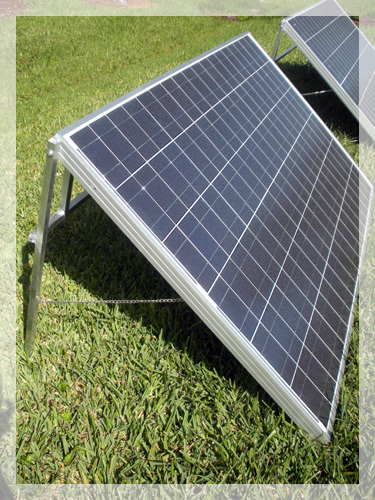 •	2 (85+) Watt panels that open /close like a book. 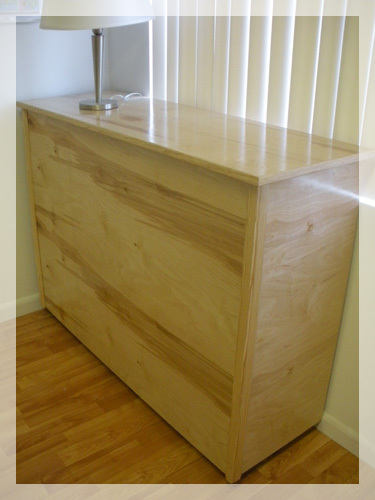 •	Easy to move and store in a small space. •	2(180+) panels that open/close like a book. •	Maximum Continuous Output 3500 Watts – will surge higher for limited time. 9000W SS for 9 sec. •	Port available to connect to PC Computer – Optional Win Verter Software available to record system performance. 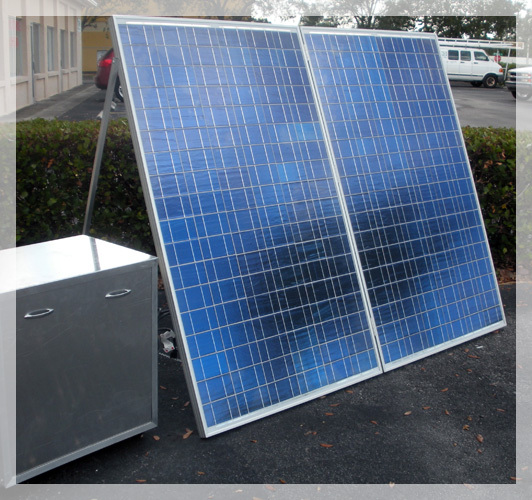 •	Solar Charger and 4 (190W) Solar panels. Metal Cart. 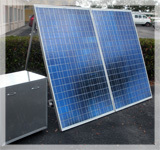 Application: Use in remote locations for renewable energy power or as backup power when needed. This rechargeable system can run several large items simultaneously. 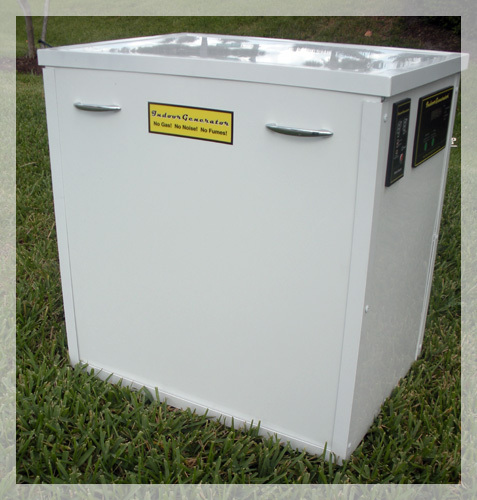 •	24000W of stored power – can be expanded/ increased. 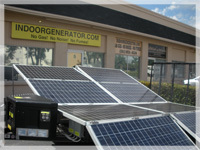 •	Solar Charger and 8 (200+ Watt) Solar Panels.